More than 100,000 people in the United States were diagnosed with colorectal cancer in 2017 alone, making it the third most commonly diagnosed cancer. 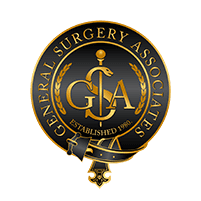 If you’ve been diagnosed with colon cancer, book an appointment online or by phone with the experts at General Surgery Associates in Las Vegas, Nevada, to learn about your treatment options. Colon cancer occurs in the large intestine and usually begins with small groups of cells called polyps — not all polyps are cancerous. If you’ve been diagnosed with colon cancer, the next step is determining its stage. Treatment generally depends on the stage of the cancer. If you have polyps or are in the early stages of colon cancer, minimally invasive surgery, or laparoscopic surgery, is often possible. Laparoscopic surgery is performed with a laparoscope, a small tube that contains a camera and allows your surgeon to work through several small incisions rather than one large one. Your surgeon may recommend a partial colectomy if the cancer has grown through the intestine wall but hasn’t spread any farther. With this procedure, your surgeon removes the diseased parts of the colon, then resections the healthy parts. A partial colectomy can often be performed laparoscopically. Following your surgery, your doctor will encourage you to walk around in order to lessen muscle soreness. After a laparoscopic surgery, it will likely take 1-2 weeks for you to return to your normal activities. Early detection and treatment of colon cancer improve your outcome. For people with stage I colon cancer, the relative 5-year survival rate is 92% — in other words, 92 out of every 100 people who are treated for stage I colon cancer are alive five years later. However, many of them live much longer. 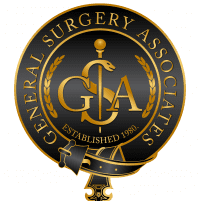 If you have questions about surgery for colon cancer, book an appointment online or by phone at General Surgery Associates.